A highlight event of the first day of the Summer Book Festival in Gozo, due on 14 July, is a panel discussion on youth culture and literature, set up by the National Book Council. Publishers and writers will engage in a conversation on literature and young readers. The conversation will touch upon a good number of topics but the focus will be on youth literacy, the problems of addressing youth issues without being patronising, and the challenge of using cultural referents that are prone to date quickly. YA books are for and about teenagers and pre-teens, usually between 12 and 18 years old, but sometimes as young as 10, and bought by adults, 18 or older. Some successful authors would say there’s no secret to writing for teenagers, because good writing is good writing and it is so regardless of who is picking up the book. However, many YA authors, who consider writing for teenagers particularly fulfilling and rewarding, do consciously follow golden rules and successful strategies: getting the point of view right; making sure the character’s age suits the chosen audience; figuring out the voice, which would then dictate the language to use; not shying away from touchy subjects; not getting preachy; writing hopeful endings. But what is the difference between adult and YA literature in terms of the challenges authors face when writing? And why did they write a YA novel in the first place? Is writing used to teach or does it serve as a form of escapism (both the author’s and reader’s)? 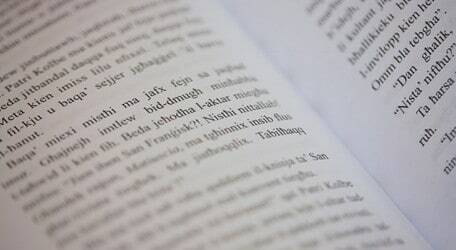 Some Maltese YA novelists are teachers: how difficult is it to keep a distance between literature as leisure and literature aimed at lecturing and teaching morals? Are believable characters and compelling plots crucial and is their credibility in any way compromised by the use of language and cultural referents that can become outdated? Do these limitations, inherent in language, diminish the universal appeal of a work of literature? For those writers who are not very tech-savvy, how challenging is writing about their characters’ use of modern technology? How can writers bridge this aspect of narrative distance, i.e. how can they manage to speak tech without sounding fake? Also, with the proliferation of social networks of all kinds, there is a lot of competition for young people’s attention. As time goes by books have to work increasingly hard to pull away teens from their mobile gadgets. What can the writer do to entice young adults to choose to read their book (rather than, say, scroll through endless newsfeeds) and, moreover, to keep them interested in the story until the end? These and more topics will be discussed by Tony Aquilina, Clare Azzopardi, Roberta Bajada, Simon Bartolo, Antoinette Borg, Leanne Ellul, Stephen Lughermo, Rita Saliba, Matthew Schembri, Sarah Springham, Loranne Vella and representatives of local publishers. 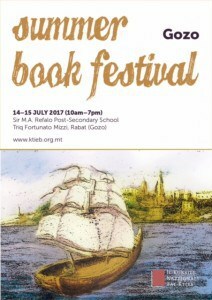 Aspiring writers, established writers, students, parents and all members of the public are invited to participate in the discussion, which will start at 16:30 on 14 July, and visit the Festival to browse through the books on sale at the Science Hall, Sir M. A. Refalo Sixth Form, Rabat, Gozo. Attività speċjali fl-ewwel jum tal-Festival tal-Ktieb fis-Sajf, 14 ta’ Lulju, ser tkun diskussjoni fuq il-kultura taż-żgħażagħ u l-letteratura, imtella’ mill-Kunsill Nazzjonali tal-Ktieb. Pubblikaturi u l-kittieba se jieħdu sehem f’taħdita fuq il-letteratura u l-qarrejja żgħażagħ. Il-konverżazzjoni ser tmiss suġġetti differenti, iżda l-enfasi se tkun fuq il-litteriżmu fost iż-żgħażagħ, il-problema ta’ kif kittieba għandhom jindirizzaw kwistjonijiet taż-żgħażagħ mingħajr ma jkunu patronizzanti, kif ukoll il-problema li referenzi kulturali għandhom it-tendenza jitilfu s-sinifikat tagħhom jew ma jibqgħux jiġu użati mal-miġja taż-żmien. Kitba għaż-żgħażagħ (letteratura YA) hija letteratura għal u dwar adoloxxenti u żgħażagħ, normalment bejn 12 u 18-il sena, iżda xi kultant anke iżgħar, u mixtrija minn adulti, 18 jew ikbar. Xi awturi ta’ suċċess isostnu li ma hemm l-ebda sigriet għall-kitba għaż-żgħażagħ. Il-preġju ta’ letteratura tajba qiegħed fil-kitba nnifisha u ma tagħmilx differenza għal min inkitbet. Madankollu, ħafna awturi YA, li jikkunsidraw kitba għall-adoloxxenti partikolarment sodisfaċenti, konxjament isegwu regoli tad-deheb u strateġiji ta’ suċċess: ifittxu punti ta’ vista adatti għar-rakkont; jagħmlu ċert li l-età tal-karattru tkun dik tal-udjenza magħżula; jagħżlu l-vuċijiet b’reqqa kbira, liema vuċijiet jiddettaw l-għażla tal-lingwa; ma jżommux il-bogħod minn suġġetti iebsin; jevitaw il-priedka; dejjem iħallu skop għal tama. Imma x’inhi d-differenza bejn letteratura għall-adulti u letteratura YA f’ dak li għandu x’jaqsam ma’ problemi ta’ kitba u rakkont? Għalfejn niktbu għaż-żgħażagħ? Biex ngħallmuhom jew bħala mezz ta’ escapism, kemm tal-kittieb kif ukoll tal-qarrej? Uħud mill-kittieb Maltin ta’ din it-tip ta’ kitba huma għalliema: huwa diffiċli li tinżamm distanza bejn letteratura bħala divertiment u letteratura għal skopijiet ta’ tagħlim? Huwa kruċjali li kemm l-karattri kif ukoll ir-rakkont ikun konvinċenti? Huwa possibbli li dawn l-elementi jitilfu s-saħħa tagħhom bl-użu ta’ lingwaġġ u referenzi kulturali li jafu jitilfu ir-relevanza tagħhom mal-miġja taż-żmien? Jistgħu dawn il-limitazzjonijiet inerenti fil-lingwa jnaqqsu r-relevanza ta’ xogħol ta’ letteratura? Kemm huwa diffiċli għal dawk il-kittieba li mhumiex midħla tat-teknoloġija moderna li jiktbu dwar l-użu ta’ din it-teknoloġija mill-karattri żgħażagħ fir-rakkonti tagħhom? Kif jista’ kittieb jaqsam id-distanza bejnu u l-qarrejja tiegħu f’dan l-aspett u jitkellem l-istess lingwaġġ teknoloġiku mingħajr ma jinstema’ falz? Ukoll, bit-tixrid ta’ siti soċjali ta’ kull tip, hemm ħafna kompetizzjoni għall-attenzjoni taż-żgħażagħ. Maż-żmien qed isir iktar u iktar iebsa tiġbed l-attenzjoni taż-żgħażagħ lil hinn mit-teknoloġija tal-kommunikazzjoni. X’jista’ jagħmel kittieb biex adulti żgħażagħ jagħżlu li jaqraw ktieb tiegħu (u mhux, ngħidu aħna, jintilfu jiflu n-newsfeed ta’ Facebook) u, barra minn hekk, kif jista’ jżommhom interessati fl-istorja sa l-aħħar? Dawn u suġġetti oħra ser jiġu diskussi minn Tony Aquilina, Clare Azzopardi, Roberta Bajada, Simon Bartolo, Antoinette Borg, Leanne Ellul, Stephen Lughermo, Rita Saliba, Matthew Schembri, Sarah Springham, Loranne Vella u rappreżentati ta’ pubblikaturi lokali. Kittieba emerġenti, kittieba stabbiliti, studenti, ġenituri u l-membri kollha tal-pubbliku huma mistiedna jipparteċipaw fid-diskussjoni (16:30, 14 ta’ Lulju), u jżuru l-Festival sabiex jaraw, iqallbu u jixtru l-kotba li ser ikunu għall-bejgħ matul il-Festival.